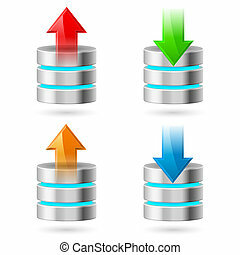 Database icon. Configuring database with tools. illustration on white.